Umbria's three thousand years of history have seen it play a highly active role; its cultural backdrop is of the strongest weave. In the Middle Ages the Benedictine monasteries had become the cornerstones of the conservation of the ancient classical culture and of the new Christian one, philosophical and mystical. These were centres for the arts, and for technical and scientific investigations in the fields of med-icine, science and agriculture. Perugia, for example, was a lively cultural centre first in the mediaeval period, and later during the Renaissance, just as it is today. Its university, founded at the end of the 12th and the beginning of the 13th centuries, is one of the oldest in Europe. Orvieto was one of the popeÕs official residences for many years, attracting artistic and literary geniuses. Culturally as well as politically it was quite self-reliant. This was then the fertile ground from which Umbrian culture sprung and continued to flourish across the centuries, supported by its commitment to ancient cultural institutions and to new, bold investments in humanism as well as science and experiment. Its university, its schools of art, and its music courses are today famous not only throughout the land, but also across Europe, drawing thousands of students each year. Moreover, cultural initiatives of the highest standards have sprung up - and are still springing up  everywhere, bringing together many people from all over the world. 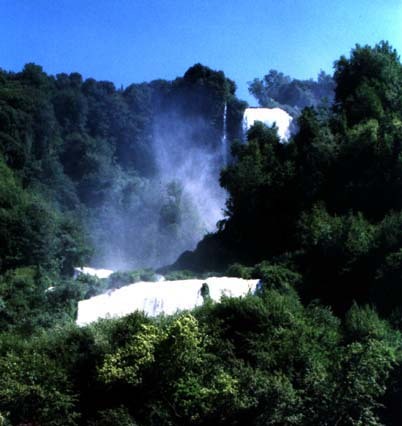 The best-known events are the Two Worlds Festival in Spoleto, the Umbrian Festival of Sacred Music and Umbria Jazz. Alongside these initiatives, the most authentic expressions of the regionÕs old popular culture have been restored or given new life: popular celebrations such as the Candle Race and the Crossbow Contest in Gubbio, May Day in Assisi, the Quintain Joust at Foligno, the Ring Race at Narni or the historical procession on Corpus Christi day in Orvieto. 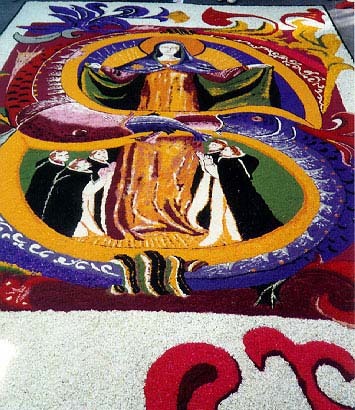 Once more Umbria is boldly expressing its ancient and modern spirit, preserving its traditions and a many-facetted image of a highly composite reality. From the first centuries of the late mediaeval period and throughout the 13th and 14th centuries; Umbria experienced the spread of monasticism, becoming a region of Saints and religious movements. It is well known that, St. Benedict was born in Norcia (480-547). 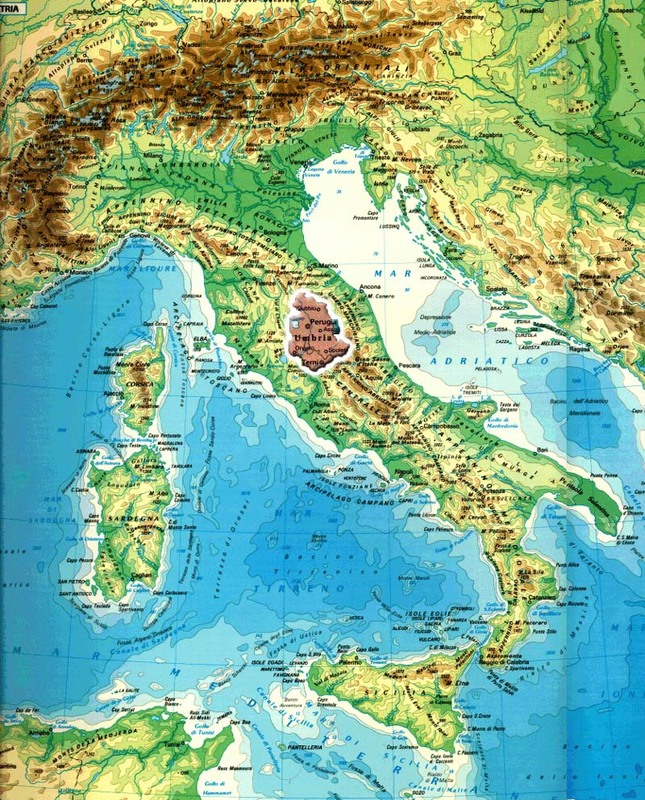 In but a few centuries the territory of Umbria witnessed the coming of age of the Benedictine monastic order at San Pietro in Perugia, Santa Maria Valdiponte in Montelabbate near Perugia, Sassovivo near Foligno, San Benedetto on Mount Subasio, San Salvatore on Mount Corona and the Abbey of Petroia near Cittˆ di Catura"> di Catura">stello. But this was not all. 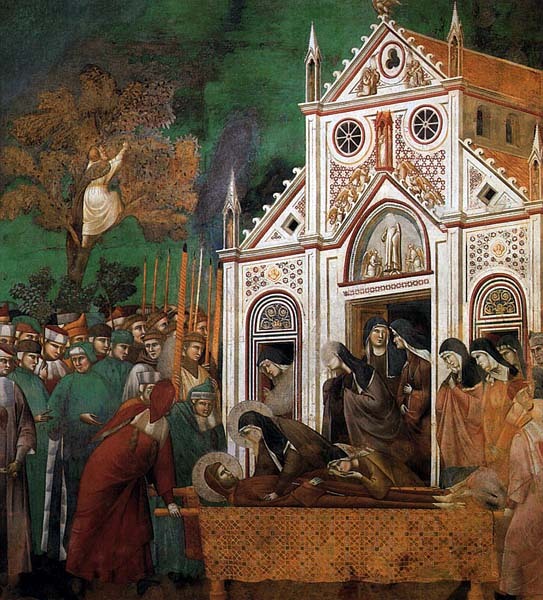 In the 13th century the Franciscan order burst onto the scene, promoted by St. Francis and Santa Chiara. Everywhere convents and monasteries sprang up. Alongside the Franciscans, in this century of great religious fervour, were also the Mendicant orders Ð Dominicans, Servants of Mary, Augustinians Ð and the "Disciplinati" orders. The configuration of the cities changed with the establishment of these settlements. They constructed buildings such as San Domenico in Perugia and San Fortunato in Todi which rivalled even the cathedral in beauty and elegance. But from all the expressions of religious fervour in these centuries, the pearl of Assisi shines above them all. Set above a spur of Mount Subasio overlooking the green Umbrian valley in the broad basin of the rivers Chiascio and Topino, from a distance Assisi appears to be layered in terraces with a cascade of churches, houses and belltowers. All over the interior of the Basilica di San Francesco splendid frescoes bring out the power of Mediaeval religion. The hands of Giotto, Lorenzetti, Cimabue and Simone Martini can be recognised throughout. Five kilometres away is the church of Santa Maria degli Angeli, built in the place where the Saint died. A few kilometres from here is the convent of San Damiano which grew up where, so legend has it, the crucifix spoke to young Francis in 1205 and where Francis later received Santa Chiara and her companions and composed the hymn known as the "Cantico delle Creature". On the slopes of Mount Subasio in the middle of a thick wood four kilometres from Assisi is the Carceri Hermitage. This was St. FrancisÕs first retreat and was later frequented by St. Bernardino who erected a monastery. In the small courtyard is the Well of St. Francis from which water miraculously gushed, whilst in the woods are the grottoes of the Saint and his companions. 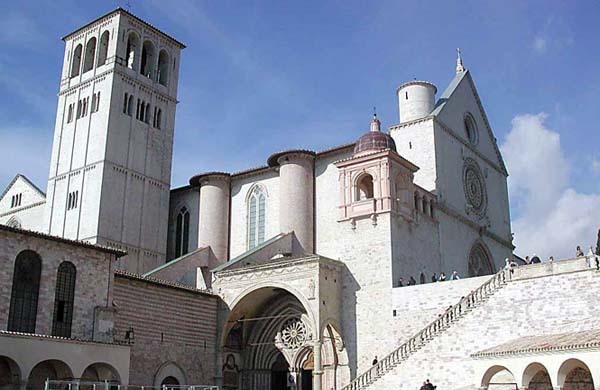 Though Assisi is the most famous and splendid of the places of pilgrimage in an artistic sense, other mystical destinations must not be forgotten. Cascia has the monastery and basilica of Santa Rita and Terni the basilica dedicated to San Valentino, the Ternian bishop beheaded in Rome in 273 and universally renowned as the patron of those in love. In Cascia the basilica was rebuilt from 1937-1947 on the site of the ancient church. The monastery boasts a beautiful 16th century portal and hosts the "holy places": the cell of Santa Rita, the choir - stall, the centuries-old vine planted by her and the sarcophagus where she was laid in 1457.